For players that are based in the UK and wanting to deposit to an online casino using a credit card, the options are very flexible. There are now more accepted credit cards at online casinos than at any other time in the history of gambling. Cards such as MasterCard, Visa, America Express and Barclaycard are some of the most popular choices at online gambling sites. Of course, the biggest brands of credit card are Visa and MasterCard and these are two companies work closely with banks nationwide. If you have a credit card with a high-street bank such as Halifax or Lloyds, or simply have a card from the likes of Marks and Spencer or the Post Office, the chances are it will have a Visa or MasterCard logo on it. Therefore you will be able to gamble at the majority of UK casinos. Online casinos are now open to customers who want to deposit and withdraw using a credit card to fund their account. There are many pros against the cons of using a credit card to play real money casino games such as; – they are now accepted pretty much everywhere in the UK, they are safe and protect against fraud, and the amounts that you can play with are very flexible – ranging from small deposits to large cash sums. The reason why people choose to use a credit card to gamble with is that it can be used at any location across a number of devices, including PC, laptop, tablet and mobile. Deposits are instantly reflected in your casino account after the transaction is complete. This usually takes around 30 seconds to verify the payment. Once the balance is updated you can then start playing straight away, and if you were to sign up as part of a welcome deal with the casino, your bonus will also be shown in your account. Credit cards are often used to deposit large amounts in to casino sites, allowing you reach the maximum bonus straight away. A lot of UK casinos boast that it is one of the quickest and most secure payment methods for playing. And if you have any doubts about the safety, all online casinos that we recommend run secure servers (SSL) and encrypted connections so that fraud is not possible. At OnlineGaming4u, our team personally test out each online casino by depositing and withdrawing funds via credit card to ensure that the company is providing the right standard of service. The checks that we carry out include customer and safety protection against eavesdropping and fraud. In today’s day, it is very difficult for scammers to get hold of your credit card details when gambling. The high technology and security that casino sites provide is second to none. Are credit cards safe to use at online casinos? Yes – online casino companies now provide round the clock security for online transactions which includes encrypted connections and secure servers. Customers also have the added bonus that banks reimburse funds to the account in the event of fraud. However, fraud is very unlikely from casino providers. Does credit card gambling have additional fees? Sometimes there is a very small admin or transaction fee for processing payments via credit card at an online casino. However, this is always clearly stated before you deposit. There are no other fees involved for withdrawing cash. Any money that you win will be yours to keep. What are the most popular credit cards for casino sites? 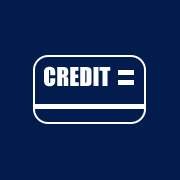 The most popular credit cards are: VISA, MasterCard, American Express, Barclaycard, HSBC, Halifax, Lloyds Bank, Nationwide, Natwest and Post Office.